Qu-Ax just released their all new "Q-handle" handlebar. Looks a little complicated, but Qu-Ax tend to make decent gear for a fair price. I'd be willing to give it a go depending on the price. I like the U-shaped handle too, lots of hand positions! I'm glad to see that a manufacturer is finally producing bars with the "loop" design, since I've had to make several of these for 29 and 36er. They work much better for me than the KH/Nimbus designs with separate hand-grips. I guess if this looks complicated the KH t bar must be more so. This design offers the same adjustments with one fewer pivot point. I like the post mount on this, but I'm not sure about the stem acting as the seatpost clamp. I think it puts it all a bit too low, unless it's on a 36er. It looks like it has a bunch of shims that would allow use on a variety of frame/seatpost sizes. I'm not 100% sure about this, but there are videos of riders in... Korea I think? Using a handlebar setup similar to this. So maybe it's already out and not really 'new', it's just not hit the US/UK yet? I'm not sure about the stem acting as the seatpost clamp. I think it puts it all a bit too low, unless it's on a 36er. It looks like it has a bunch of shims that would allow use on a variety of frame/seatpost sizes. I think with the shims provided, using it as the seatpost clamp would be optional. You could mount it higher up on the seatpost, using the appropriate shims. In general, I'm glad to see another option. I may give it a shot, I like the loop. 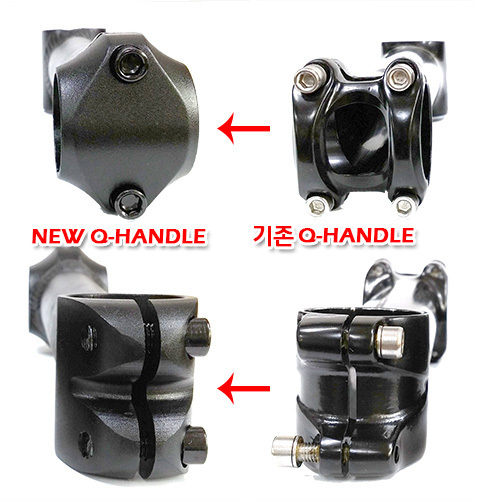 Just FYI, I emailed Goudurix and asked about this handle (since they're the biggest Qu-ax dealer that I know of in this part of the world), and they said they would have them next month. I guess if this looks complicated the KH t bar must be more so. This design offers the same adjustments with one fewer pivot point. You're saying that the quax adjustment mechanism looks less complicated than the kh?! I don't see how that could be the case. Maybe I'm just missing something but it seems to me that your basis of one fewer pivot point is wrong. The KH uses a pivoting mechanism where it mounts to adjust height and extends off of that pivot. So two pivot points. This quax sucker has one clamp to adjust the height and extends with two clamps off of that so once again two pivot points or even three depending on how you count it. You can add another pivot point in there for the quax that is going to be a huge pain in the neck, the seatpost clamp. No one wants to fight to get their seat AND their handlebar straight at the exact same time. With this weird clamp pivot where it shouldn't be it looks like adjusting saddle height is almost a two person job. That totals 3 or 4 pivot points for the quax including the one that just plain shouldn't be there. So unless you are counting the bar ends as a pivot point they have the same amount. It doesn't seem logical to me to call this design simpler on that basis alone. This thing has two clamps that must be adjusted to extend the bar, not just one which seems like a bit of a waste of weight and effort. I can see why you would want one of these for the one piece handle but the rest of the design looks like a clunky overcomplicated design with way too much that could go wrong. And on a unicycle handlebar everything that can go wrong does. Wow -- I was so tickled to see that loop that I didn't even notice that the handlebar actually doubles as the seat post clamp! In my view, all four major manufacturers have now produced a lousy handlebar design. Last edited by newob; 2014-11-07 at 09:55 PM. I really like the look of the Coker handle - just wish it was longer/available in the UK! 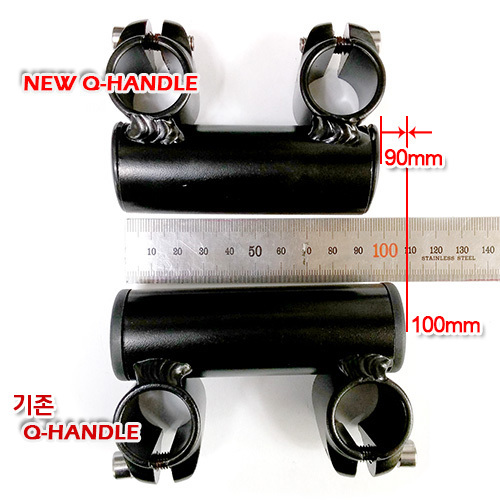 I know how I would personally design a handlebar setup, and Qu-Ax got pretty close, but just made it more complicated. I suppose they need to add in all the extra pivots to allow for adjustability though. I'm just now starting to see another huge up/downside, depending how you look at it. The section that the grab handle looks far more narrow than a KH bar. This is good because everyone seems to complain how wide the KH is, but bad because I'd have no room to attach a light/clownhorn. They'd have to go on the actual grabbing section (Before the foamy bit starts), which could make for a weird light angle. One more thing - KH bars are pretty well compatable with other bull-bars, aren't they? And other types of rubber/foam grip. With the Qu-Ax one, you're basically left with their foam or naked bar, unless you buy regular grips and just put them where you like grabbing it. Proprietary designs are never good! Wow, so my first post was 'hell yeah I'll try it', and this post is 'urgh, problems after problems' I guess I'll have to see the price of it before I decide (And the weight). If it's super-cheap (Like a lot of Qu-Ax stuff), I'll jump on it. If it's the same price as a KH/nimbus setup... Eh, I think I'd go with the KH, even if I hate the idea of it attaching directly to my seat. Last edited by Piece Maker; 2014-11-07 at 10:41 PM. You could also use a normal seatpost clamp and attach it to the seatpost with the shims. But then its still complicated. Well it's avaible on municycle.com - but at 69 euros it's only a tad cheaper than the KH bar. I personally love KH's T-bar. 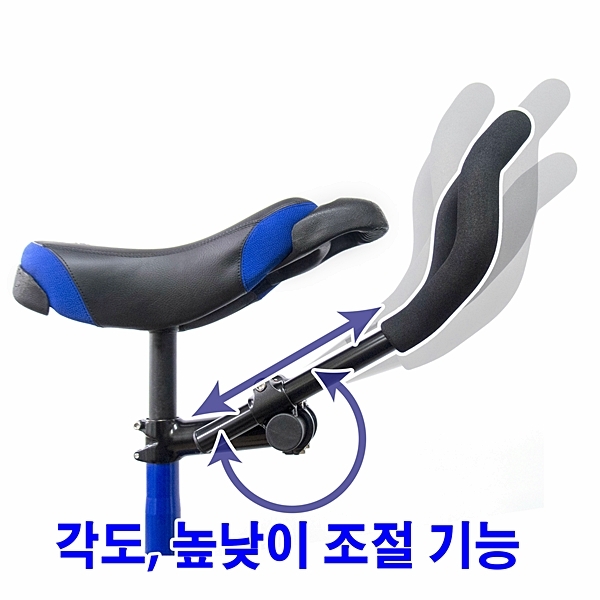 The thing is well made and I do like the way it attaches to the seat with stiffener plate. Seems rock solid and allows for lots of adjustment, and customisation. It's shipped with a wide T sections so you can cut it to fit your need. I had it trimmed down each side so it was a bit narrower. Do it for any 36er. Really helps. Anyway, just thought I'd let you know you can get it from Germany. I like how all the photos are on a KH unicycle.